Analog inputs to the PLC are continuous and can come in a variety of signals. These signals can come from temperature, flow rate, pressure, distance, etc. Here is a list of items that we will need to make our tester. The 0VDC lead of our battery will be connected to pin 1 of the potentiometer. (One side of the potentiometer.) This same connection will be our 0VDC reference into the PLC. The potentiometer wiper (pin 2) will be the +VDC reference into the PLC. The 9VDC battery supplies the voltage to the circuit. 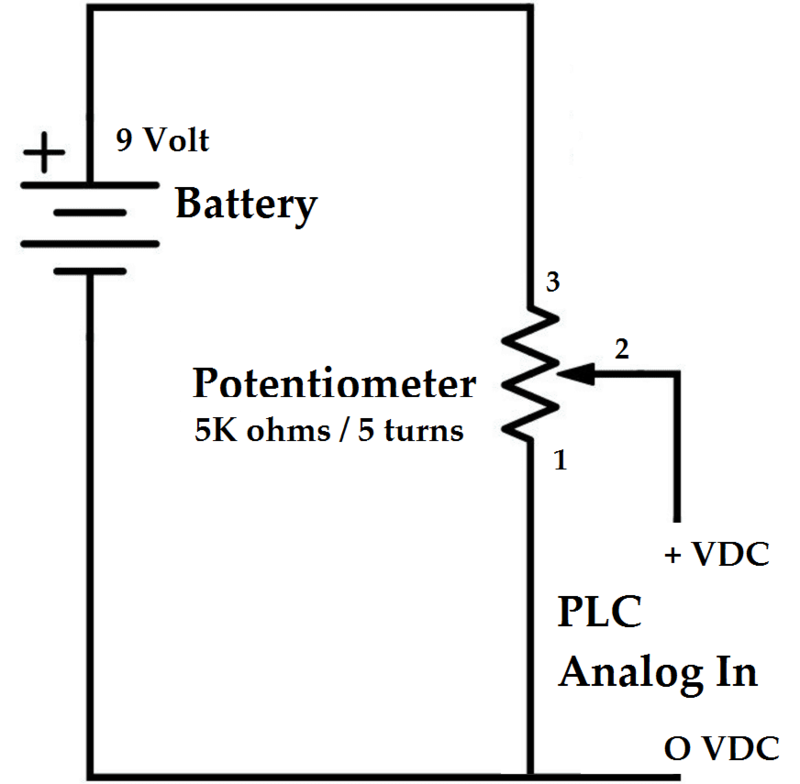 The potentiometer will vary from 0VDC to the full supply of the battery. This is because of the wiper action of the potentiometer and voltage is the same across each component of a parallel circuit. Our analog input to the PLC is basically a parallel circuit with the potentiometer wiper. As the wiper is moved to different positions on the main resistor the voltage is read proportionally. 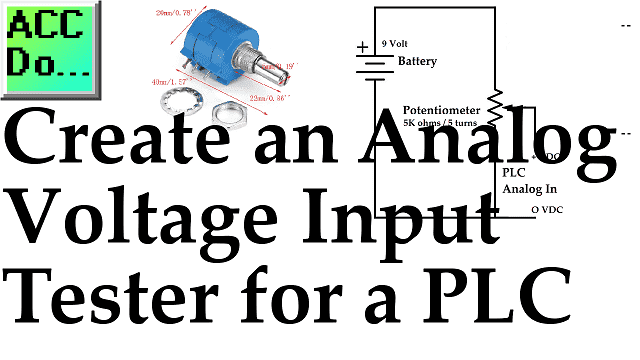 This tester will aid you in troubleshooting PLC analog voltage inputs. See the operation of the tester in the videos below. Here is some additional information on wiring PLC inputs. Informative article sharing about analog voltage input tedter. First, i have not idea about this. I read your article post then I understand that. It is a valuable tool for home improvement. Thanks for your help sharing this post. Thank you for the comments Frank. You made my day!